As an on and off project I’ve been working on a custom flight controller firmware. It’s based on the STM32F4 ARM Cortex-M4 using FreeRTOS, 9-DOF IMU for stability around the pitch, roll and yaw axis aswell as three different barometers and a downwards-pointing laser for reliable altitude hold functionality. It can be controlled either from an RC receiver/transmitter system, or from a custom Android joystick app via an ESP8266 over WiFi. A very simple PCB was designed in KiCad. I used STM32CubeMX to set up the peripherals and HAL libraries, and IAR Embedded Workbench for development and debugging of the code. In the below clip the basic functionality is demonstrated, and a new video of the full project is to be expected shortly! 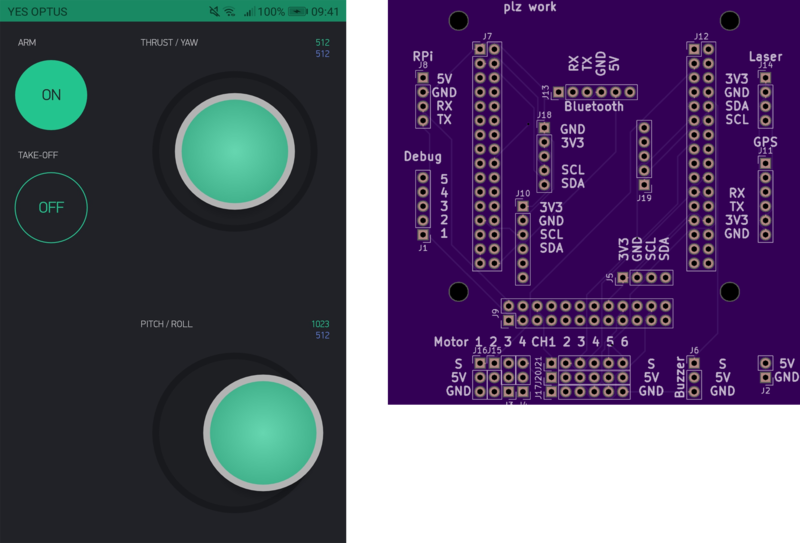 The app was designed using Blynk and the circuit board was ordered from OSHPark. hover – a hard coded value between 0.0f and 1.0f which corresponds to when the drone has enough thrust to hover. alt – a PID controlled value between -1.0f and 1.0f for altitude hold functionality. pitch – a PID controlled value between -1.0f and 1.0f. roll – a PID controlled value between -1.0f and 1.0f. yaw – a PID controlled value between -1.0f and 1.0f. The sum of the PID outputs together with the hard coded hover variable will add up to a float between -1.0f to 1.0f which is converted into a PWM signal of 1-2 ms pulses. 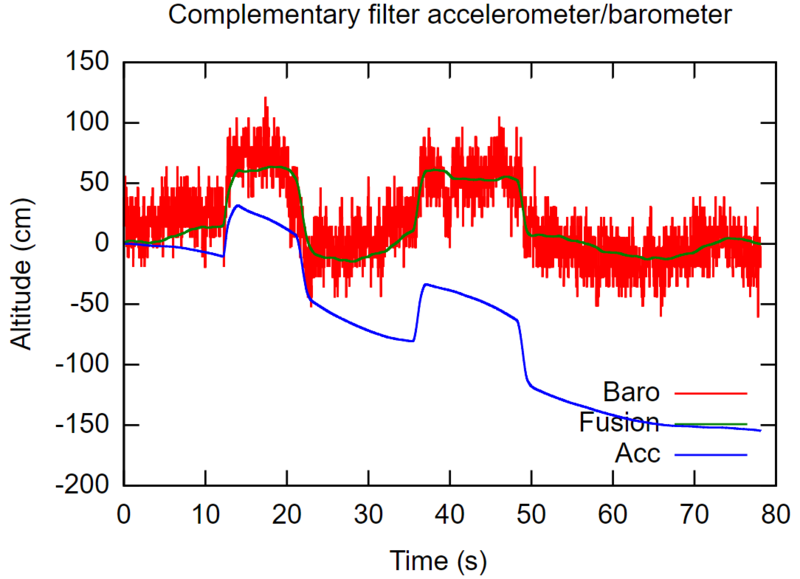 In order to estimate angle using gyrometer- and accelerometer data I decided to implement a Kalman filter. I won’t dig much into the theory as plenty other sources on the interwebs are more qualified for that. 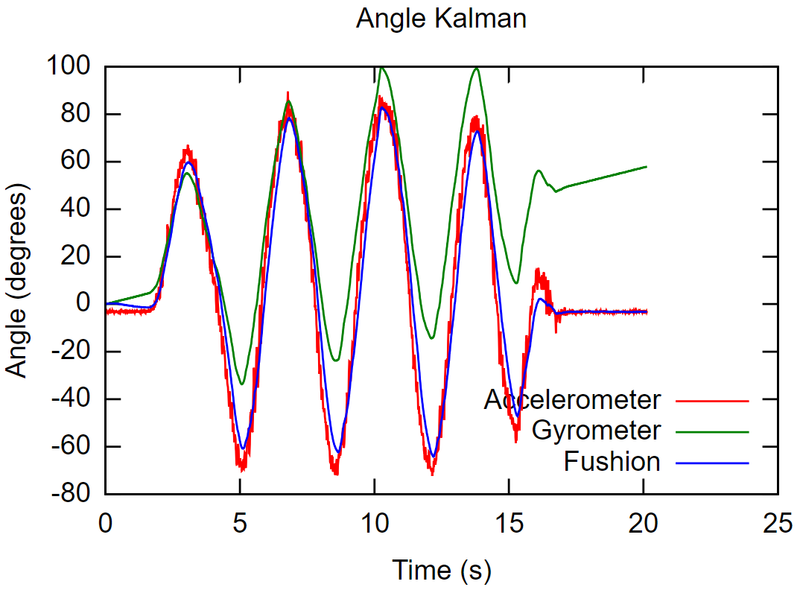 Shown is the completed result of the Kalman filter in action during a 20 second period, where it can be seen that the resulting curve (blue) follows the gyro (green) short term but is being corrected by the accelerometer (red) long term. I decided to implement the system matrices as a struct so it can be easily modified for other sensors and purposes, though only in two dimensions meaning only two different sensor inputs can be used at the time. You might recognize the formula from high school science class. The filter function itself is implemented together with comments for it to be quite straight-forward. I wanted to play around with speech recognition on Raspberry Pi and decided to use the voice API released by IBM, Watson TJBot. There are several guides out there to get you started. I already had my custom esp8266 RGBW lights (post futher down) controlled by a Raspberry Pi up and running at home. So instead from sending the commands over MQTT from the app, I wanted to send the same MQTT values using voice commands. The already existing speech-to-text script used by TJBot takes a voice stream as input and gives a text string as output. So the only thing I had to do was to modify the script to look for my trigger words, for example lamp1, lamp2, on, off, blue, green, red and so on, and send MQTT commands to the lights on these triggers. 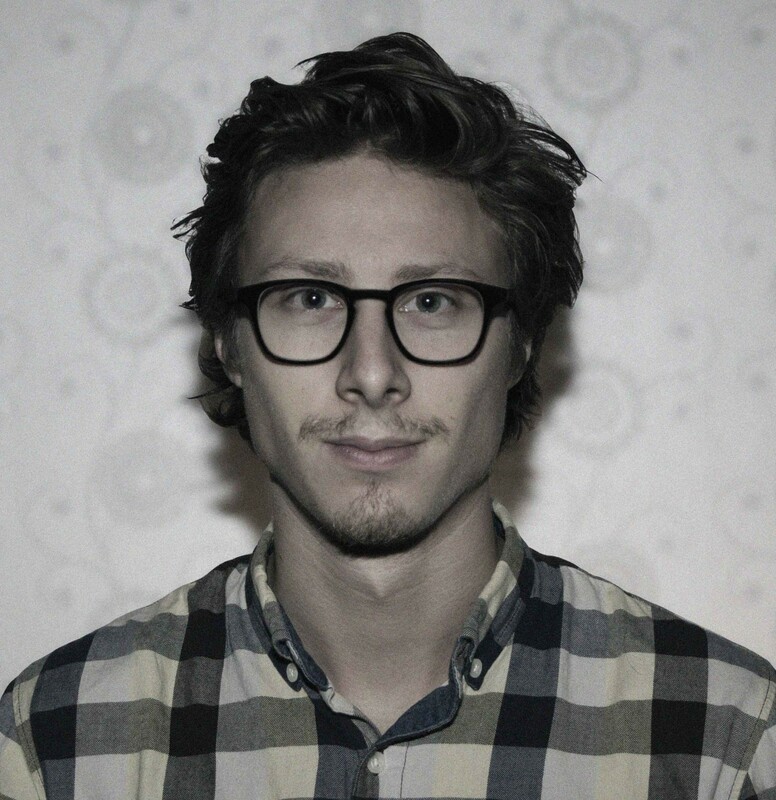 The source code for the speech recognition can be found on GitHub here. The source code for the esp8266 firmware is the same as in older post. During the late autumn of 2016 I finally got the opportunity to fiddle around with the ESP8266. There are several ways to write code for the chip, but I decided to go for the open-rtos-sdk since it got the perks of being open source and based on FreeRTOS which I’m already familiar with. I bought some cheap RGB light bulbs based on the ESP8266 chip online, together with an USB to TTL cable to be able to flash my custom firmware to it. 1. The color spectra in range 0-255 for all the three colors. 2. Saturation, which is the intensity from 0-100 of the color. 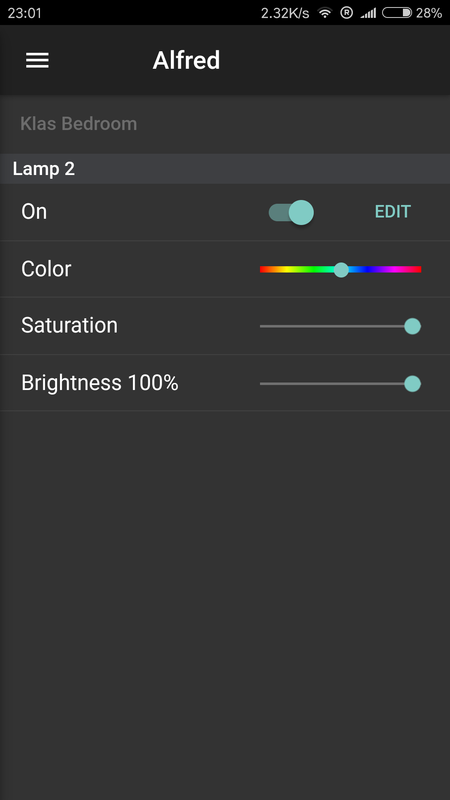 0 gives only white, 50 gives 100% white and 100% color, and 100 gives just 100% RGB color but no white. 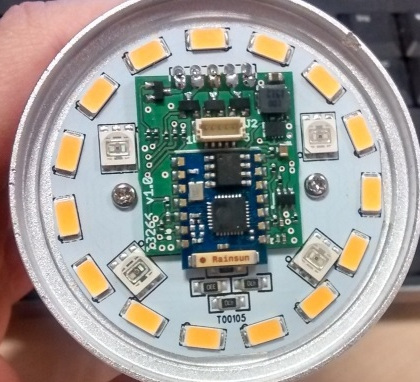 The source code for the ESP8266 can be found here. Some parts are not beautiful, especially the fact that the ESP8266 seem to have only two timers (really?) caused problems in order to have four individual PWM signals. I started this project summer 2014 just for fun, and used pretty much what I had at home. The only thing i bought specifically for this was the XBee Series 2, ZigBee modules. The modules are configured as ZigBee Mesh, and can therefore forward messages between them if the transmitting node is out of range of the receiving node. The “brain” of the system is a Raspberry Pi. Its purpose is to run a server for GUI, storing addresses and variables in a database and most importantly serve as a bridge between the WiFi and the ZigBee network. The Pi is connected directly to the router with an ethernet cable, and to an ATmega162 microcontroller via UART on the GPIO pins. The coordinator ZigBee module is then connected to the ATmega. The end point nodes are connected to whatever microprocessors I had at home. To control the lights I broke apart some old 433 MHz radio receiver outlets and stuffed in an MSP430g2553 and the ZigBee module, along with some necessary electronics. The cabinet door is controlled by an ATmega48 connected to a servo along with the ZigBee module. I built the helmet to wear on a costume party contest on Halloween 2013, and is because of this aesthetically damaged in the videos below. However, I won first prize and got myself a nice diploma, so it was totally worth it. It was shortly after the party noticed on a major Swedish TV channel; TV4 (can be found here) in an interview with my good friend Sofie, about encouraging girls to apply for technical education. It can nowadays be found in a showcase at Linköping University. The electronics consists of 256 LED soldered together to a 32×8 matrix, four 8-bit shift registers, an HC-05 Bluetooth module and an ATmega328 microcontroller. It was originally programmed with Arduino and later re-written in C.